My husband has a spinal cord injury (SCI) and has been in a wheelchair for nearly 30 years. Because I know what it is to live with a spinal cord injury, I am passionate about representing people with spinal cord injuries.  As a spinal cord injury lawyer, I know that an SCI can turn your life upside down in an instant. And the change can come whether you are the one injured, or the mom, the dad, the spouse, the child, the sister, the brother, the girlfriend, or the best friend, of the person injured. One of the most moving things I have ever beheld was a father bowed with grief because his son had just gotten an SCI and was a quadriplegic – just like his other son, who had suffered a brain injury years before. For both quadriplegics and paraplegics, SCIs weave their way into your daily life. From not being able to reach the top shelves at the grocery store to not being able to get into the bathroom at a restaurant, your life changes in ways both small and large. You incur enormous costs – from catheters, to wheelchairs, to roll-in showers – just to be able to do the same things that you could do for free before your injury. But people with SCI – and the families who love them – are some of the most amazing clients I have. These clients make heroic efforts to do what should be effortless. They bear daily indignities with grace. Their families rally around them, silencing their own grief, in order to help. I have seen mothers lose jobs because they refused to leave a child’s bedside. I have seen parents take two jobs to try to pay for all the extra costs that are incurred. I have seen fathers pushing their children’s wheelchairs, and children pushing their fathers’ wheelchairs. Each month my husband and I host an event with our church at Shepherd Spinal Center, so we continue to be reminded of the overwhelming grief and the exhausting effort that follow a catastrophic injury. We also witness the triumphs, as these patients push themselves harder and further than they could have dreamed, with the aid of the phenomenal staff at Shepherd Spinal Center. To all of the courageous people battling a spinal cord injury, this page is dedicated to you. When the spinal cord gets damaged, your body may lose its ability to function or feel. Spinal cord injuries can occur from trauma (such as car wrecks, diving accidents, or surgery) or from disease. A spinal cord injury (“SCI”) can render your limbs or parts of your body inoperable. The spinal cord runs through bones called vertebra. Your doctor may tell you that your injury is a “C-4” or a “T-6.” This numbering system tells you exactly where along the spine your injury occurred. The spine is divided into three sections: cervical (neck), thoracic (from the neck down to the pelvis), and lumbar (pelvic). For shorthand, doctors refer to injuries in the cervical region as being “C”, while thoracic injuries are designated with a “T”, and lumbar injuries with an “L.” The vertebra in each section are then numbered, beginning at the top with “1”. Thus, A “C-4” injury occurred in the area of the fourth vertebrae in the cervical region. Enjoy this collection of links to sites packed with useful information for people with spinal cord injuries. A list of the current Model Spinal Cord Injury Regional Centers . Rehabilitation Institute of Chicago (RIC).